From cruising, sailing, parasailing, kayaking and eco-tours to bumps and jumps aboard windsurfers, kiteboards and waverunners, Islamorada offers excitement on the water, over the water and under the water. A sunset cruise or eco-adventure to observe Islamoradas unique marine life is a perfect way to relax. Shallow areas make charts and tide tables necessary if you aim to drive-it-yourself, or leave the motoring to a licensed charterboat captain while you dive, snorkel or parasail the clear aquamarine waters of Islamorada and the Florida Keys. Have fun! Backcountry Cowboy Outfitters Florida Keys Outdoor Outfitters Kayak, Bicycle and Stand Up Paddle the Florida Keys with Backcountry Cowboy Outfitters Guided kayak nature tours, kayak rentals or Sunset Kayaking. All great individual or family adventures. Backcountry Cowboy Outfitters is a unique, specialty retail store that serves the needs of outdoor enthusiasts in the Florida Keys and South Florida. You`ll find everything you need for your Kayaking, Camping, and Outdoor Adventure needs. We`d be glad to assist you, your family or your group in getting the most out of your trip to the beautiful Florida Keys, Everglades National Park or Dry Tortugas National Park. Contact us for assistance or stop by our retail store, located in Islamorada on US 1 @ mile marker 82.2. Boat Rentals and Charters, Waverunner Rentals and Tours, Kiteboarding, Wakeboarding, Paddleboarding, Kayaks and Hobie Cats. Seven and IWC are your one-stop shop in the Florida Keys for everything on the water with newly expanded retail store. IWC has a large fleet varying from 16` flats boats to 27` Offshore Center Consoles and more than 25 Jet Skis. Seven offers full-service kiteboarding lessons, kiteboarding sessions and kiteboarding gear and a team of knowledgeable coaches that will make sure you get up riding right away. Seven and IWC were established in 1999 by 4th generation Florida Keys Natives. They put the FUN in your vacation and they are good at what they do! Whether your interest is snorkeling, sightseeing, a visit to the famous Islamorada sandbar, learning more about the Florida Keys ecosystem or simply enjoying a relaxing sunset cruise, their friendly and professional U.S. Coast Guard certified Captains will treat you like family. With ""A Family Fun Boat Tour Company"" you can be assured that they can accommodate your passion for a quality, crowd-free Florida Keys boating adventure packed with so much fun you may just want to join them again before you leave! Four locations on Overseas Highway (Mile Markers 77.5, 82.7, 81.9 and 80.2) with guided snorkeling tours by waverunner or boat include snorkeling, sightseeing, sandbar, mangrove tunnels, slalom course, free-riding time and much more! We also offer waverunner, kayak and boat rentals. Our boat rental fleet includes fully equiped center console, glass bottom and deck boats ranging from 15-26 feet. Fishing and snorkeling gear available for rent. A1A also has a full line of Scooters and bicycles for rent! "Simply the most fun the Keys have to offer." Stand up paddleboard and kayak lessons, rentals and eco-tours. Aquaholic Adventures will deliver to anywhere during the day or if you book a tour they will provide a guide. Night tours with illuminated boards and kayaks available at Postcard Inn, mile marker 84 oceanside in Islamorada. Instructors are all certified and Aquaholic Adventures is the only company in the Upper Keys that you can book an illuminated night tour with. 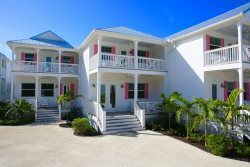 Located at the Hilton Key Largo Resort, 97000 Overseas Highway, Mile Marker 97 Bayside. Offering parasailing flights, snorkel tours, sunset cruises and Everglades National Park Enviro-Tours, plus jetskis-waverunners, Hobie Cat sailboats, sailing instructions, Standup Paddelboards and kayak rentals. Concierge Services too. Open to the public, 9-6 daily. Find us on Facebook, Foursquare and Yelp. Take a Key West kayaking tour in Key West`s only CLEAR kayaks and see it all on a kayaking trip with Clearly Unique Charters! Their tours combine Key West kayaking and Key West snorkeling aboard completely clear, two-person kayaks. Glass-bottom viewing allows you to see the fascinating world of mangrove islands above the water and teeming coral reef gardens at the bottom of the sea. You can also stay onboard Clearly Unique`s Yacht for just 200.00 per night for their two bedroom yacht docked in Key West`s Yacht Club. There is a swimming pool on property and the surroundings are beautiful. Call to reserve! See the Keys like they should be seen..from the water! It is gorgeous out on the water and they want you to love the Keys like they do. Florida Bay Tour Company offers friendly casual boat tours with island music..their version or yours. Hear a little about our Keys history and ecology. Venture into Everglades National Park where only guided fishing charters normally roam... search for wildlife or do one of their sunset cruises. Florida Bay Tour Company will also take you behind the scenes to see some spectacular Keys homes or just get you out on the water for a day of fun. They can take you bar-hopping about their 26` shaded catamaran which also has a nice clean bathroom on board. If you cannot think of what you would like to do, just ask them. They have plenty of great ideas. Boats, kayaks, jet skis and paddle boards for rent. Both self-guided and eco tours available. Located at Snake Creek Marina. We offer a 2 hour Snorkel trip to Cheeca Rocks, Hens and Chickens, and the beautiful clear turquoise water that surrounds Islamorada. We end our day with our Sunset Cruise where passengers will enjoy a 1.5 hour calm water boat ride in the Florida Bay (the side of the Keys that the sun actually sets on)!! On all of our cruises, guests are invited to bring along food and beverage (alcohol incl.) of choice (no glass). Try not to wait until the last day of your vacation, in case of bad weather. We are docked at Cheeca Lodge & Spa. Affordable boat and jet ski rentals and tours, Fishing Charters available. Pet friendly. Wheel-Chair Friendly facilities. 120 passenger Party/Sunset Cruises - Sunset trips for $20 per person - D.J. and Cash Bar/Food - Also available for weddings, rehearsals, and business events. Watersports business located in Islamorada at the Islander Resort on the Beach. Islander Watersports offers boat rentals, guided tours, snorkeling & sunset cruises, aqua cycles, kayaks, paddle boards, fishing rods, and beach cruisers. They also create custom itineraries for any special occasion. The world`s first pink cadillac stretch limousine convertible tour boat and the El Zorro Pirate Ship both operating from the Lorelei Yacht Basin. Sunset cruises, weddings, birthdays, eco tours or just for fun. Only in the Keys can you arrive at your destination in a pink limo or take a memorable excursion with Captain Joe on a real pirate ship! A 1 1/2 hour , daytime ride on the Nautilimo is $75 for up to 4. passengers and $90 for 6 passengers.The popular 1 1/2 hour, sunset ride is $100 for up to 4 passengers and $120 for 6. On El Zorro a 1 1/2 hour trip on the pirate ship is $150 for up to 6 passengers. Additional passengers are $10 each. Maxium load is 12 total. The best in Kite boarding, wakeboarding, paddle-boarding and Skateboarding equipment sales and lessons. Excellent service, expert teachers ! Very Friendly ! Trust Otherside, a locally owned and operated business, and friendly locals, Shana and Mike to get you boarding now! Located next to Bayside Gourmet at mile marker 82.7 on the bayside. Dedicated dive resort with dive catamarans steps from your bay front room - pool, beach, BBQ grills, picnic tables all overlooking the Florida Bay! Fabulous sunsets! Also offer under-water and sunset beach and boat weddings. They also offer PADI SCUBA instruction and charters. Captain Slate`s has 36 years experience diving the keys and running the largest dive operation. They know how to get it right. Captain Slate`s crew cannot wait to show you their 25+ new dive sites. And now they`ve added a new 30 ft. fast boat (26-knt) to their fleet and can run smaller groups quickly to all the wrecks in Pennekamp Park from the Spiegel Grove, Bibb, Duane and to the Eagle wreck in Tavernier, now that is a "Wreck Trek"! They have a highly qualified staff that offers SDI, TDI, PADI, NAUI, SEI, DAN and more certifications so start or continue your dive education with Capt. Slate! SCUBA and Snorkel trips. Key Dives also does underwater weddings and offers wedding charters and spearfishing trips. Their dive/snorkel boat holds up to 27 people. Marine park, eco tours, and swim with dolphins plus other programs in beautifully landscaped setting. Reservations required for swims. Stop in and visit our amazing Gift Shop! Paddleboarding, Waverunners, Hang Gliding, & Lots More! Try the most exciting watersports activity in the Keys. Learn to fly a water powered Jetpack! No experience necessary. Located at Postcard Inn on the beach. Jetski rentals and tours, affordable rates, located at Old Conch Harbor. Stand-up-paddleboard, eco tours - includes instruction, free pick-up and drop off.